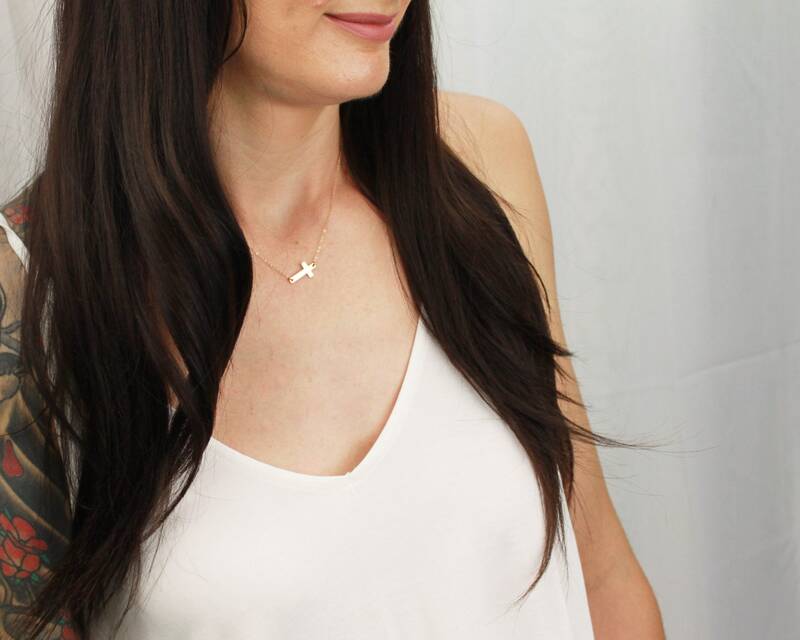 This delicate cross is suspended sideways on a delicate chain. It features an offset freshwater pearl charm or birthstone gem of your choice to wear over your heart. 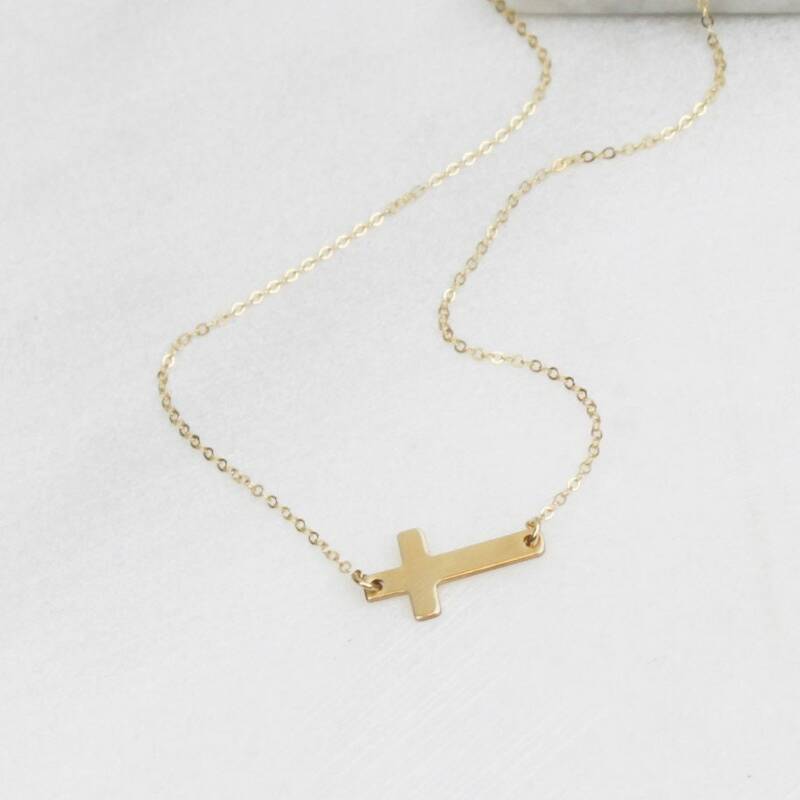 Cross can be left plain in a satin finish, hammered, have a small date or 3 small initials stamped by hand. 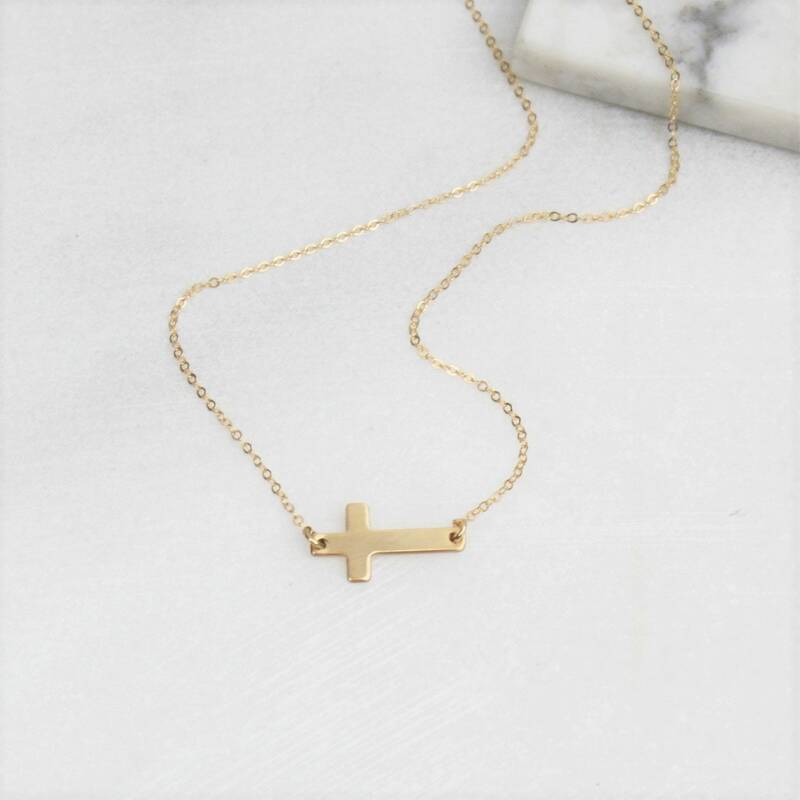 Chain and cross are available in 14kt gold filled, rose gold filled or sterling silver option. Cross is 3/4 inch in length. Choose either a 16, 18 or 20 inch chain . Love it so dainty and perfect! This was the perfect confirmation gift for my niece and the addition of her birthstone made it cute and personal.